MengSin PVF Breaking NEWS2016/07/18MengSin PVF Breaking NEWS. 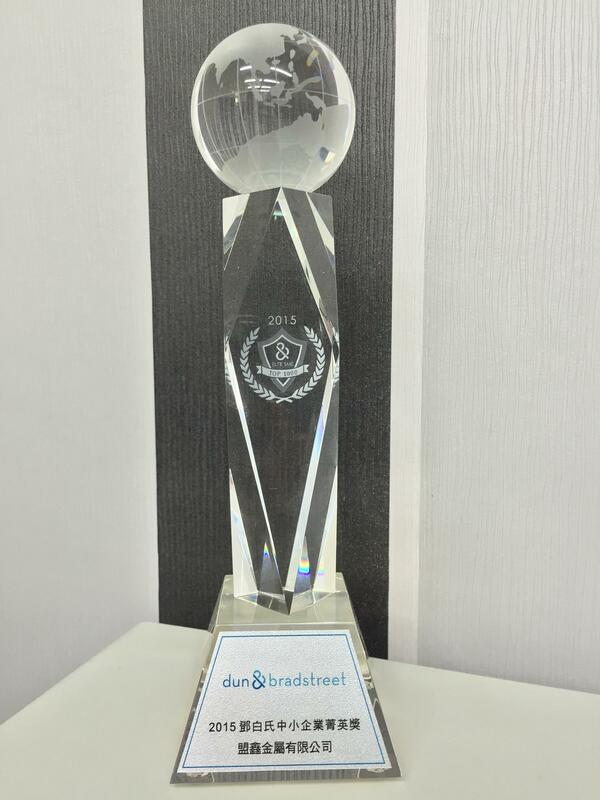 Du Pont Chemical Authorize2011/03/15MSM is the first and only dual PVC Laminated manufacturer in Southeast Asia and also the only certified factory by Du Pont Chemical for producing PVF laminated steel in Taiwan. ISO 9001:2008 and recognized by the Industrial Technology Research Institute and Board of Trade. 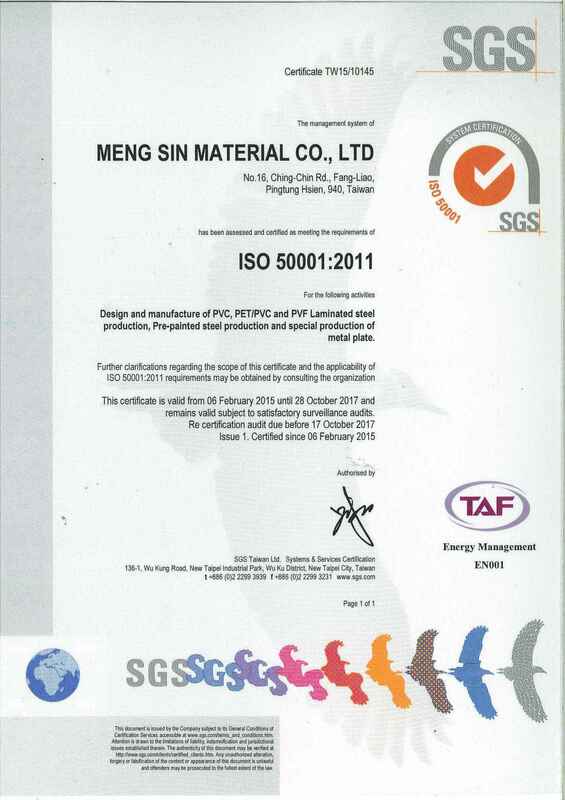 SYMBOL of High Quality Steel Meng Sin Material Co. Ltd. (MSM) was established in 1995 in Taiwan. The production line of Meng Sin Material is designed completely according to the testing JIS K6744 standards of the Japanese multi-layer color pattern steel coil. Installed and tested by Germany and Japanese technical teams, our production line is certified by ISO 9001:2008 and recognized by the Industrial Technology Research Institute and Board of Trade of Taiwan. Furthermore, MSM was awarded by Taiwan Government as one of Top 100 manufacturer in Taiwan. Our product includes laminating series of PVC, FDA21 PVC, PET/PVC, PVF and as well as Pre-Painted series of PCM, SMP, PVDF and pattern printing steel coils/sheets (SUS, AL), MSM is the first and only dual PVC laminated manufacture in East Asia and also uniquely certified by DuPont Chemical for producing PVF laminated steel in Taiwan. The mission of MSM is to supply high-quality steel (SUS, AL) products to satisfy the demands of our clients. The ultimate vision of MSM is to become the most reliable partner among clients, also to provide quality products, services, and solution to clients around the world.